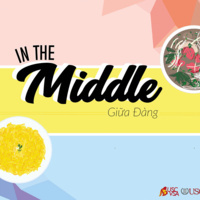 The University of Southern California’s Vietnamese Student Association proudly presents our 39th Annual Vietnamese Culture Night: In the Middle, Giữa Đàng. Xuan “Sally” Pham might look Vietnamese, but she sure doesn’t act like it. She only speaks English, only eats Easy Mac, and hates her given name. Her mom, saddened by how American Sally turned out, proposes a compromise: learn how to be a proper Vietnamese daughter by graduation and she can officially change her name. All that takes is learning the language, joining VSA, and finding a good Viet boy for prom. Doors open at 6:00 pm; show starts at 6:30.